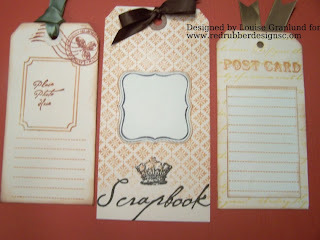 I love using tags on my scrapbook pages and find I can create gorgeous ones of my own with some of my favorite rubber stamps and ink. 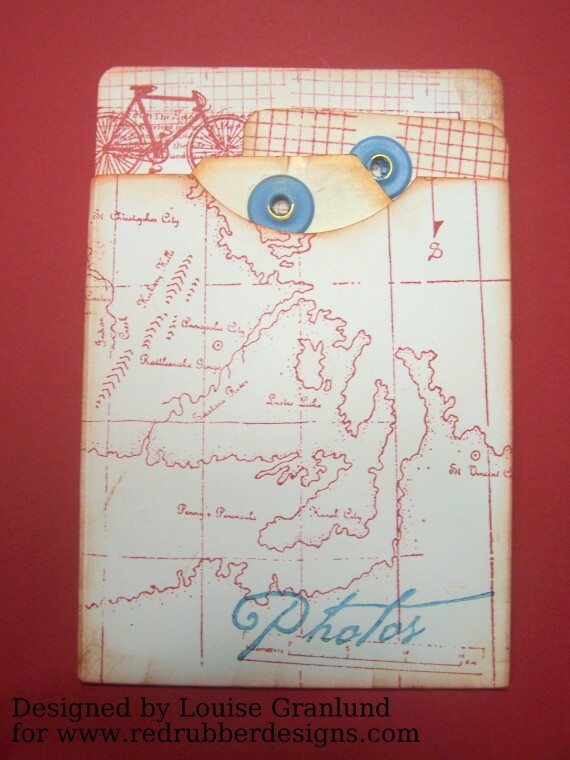 I usually create a variety and then have them on hand as I go about my scrapbooking. In this tutorial we'll see how stamps from Red Rubber Designs work beautifully in creating such tags. 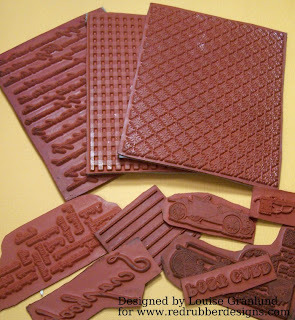 Next, gather some of the stamps you'll be using. 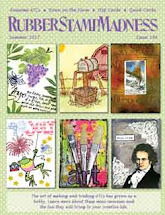 I chose a couple different background stamps, images, words, etc. Some of your tags can begin with stamped backgrounds. Shown here: Beauty of a Woman, Gingham, Here I Am. The Memories set from Red Rubber Designs has great word stamps for scrapbook tags. 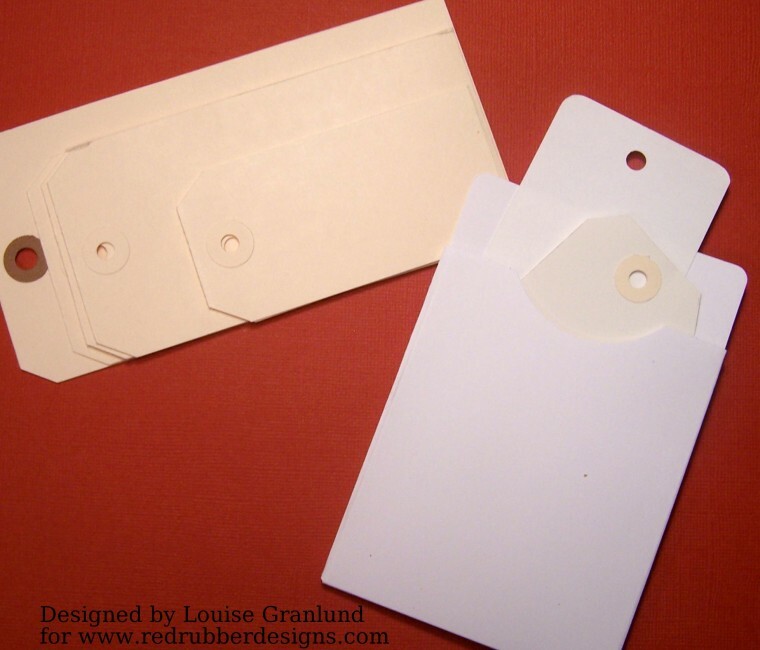 Fabulous Frames will give you a variety of frames to add small photo spots to your tags. 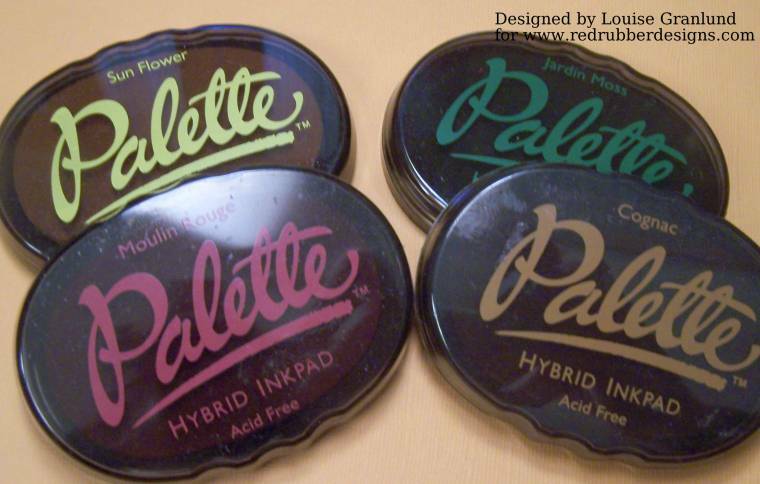 The journaling lines from the Punctuation rubber stamp set gets a lot of use from me. It can be used singularly or stamped repetitively for a longer journaling spot. 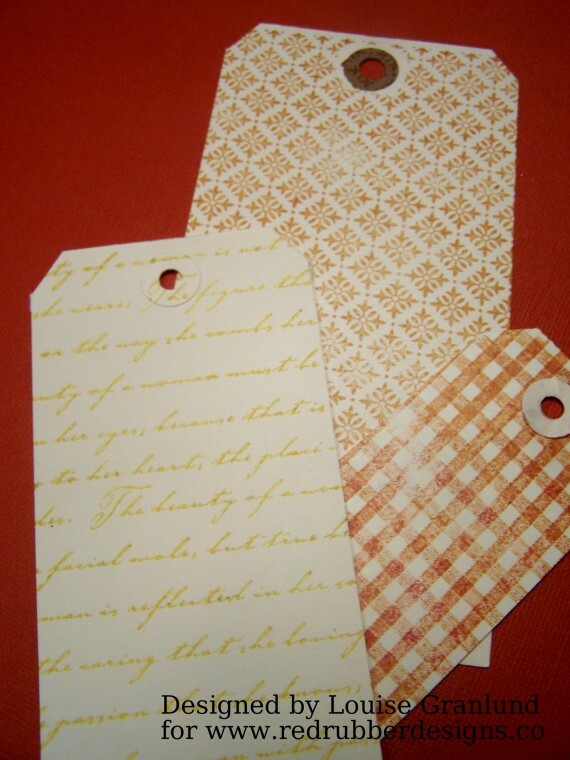 More samples of tags. 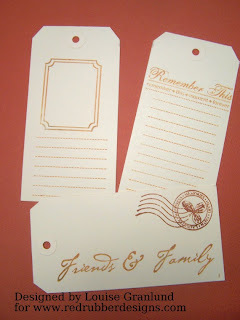 I especially like the "Remember This" stamp from the Fanciful Vintage set. I also used images from Fly Fairy and Just Bee-Cuz here. 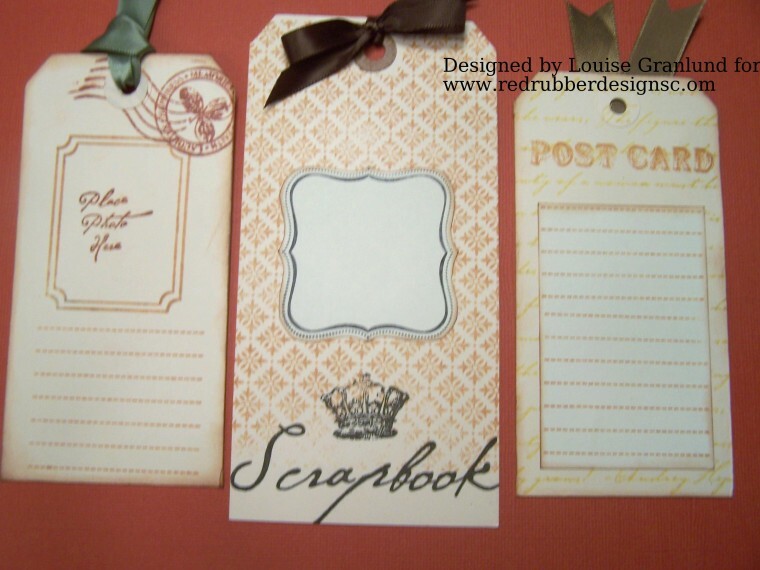 As you can see, by adding images as well as words you can also create some cool embellishments for your pages. Finally, I stamped on the library pocket from the Pockets & Pieces set (Ancient Map and Fly Fairy) and stamped two tags to fit inside. 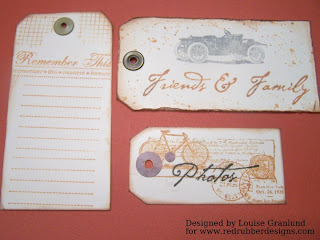 Once again, I used my "Remember This" stamp as well as frames from the Fabulous Frames. You can find this tutorial as a FREE download in the Red Rubber Designs store! 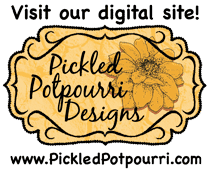 Lovely ideas here... thank you! It inspired me, Louise. Excellent tutorial! 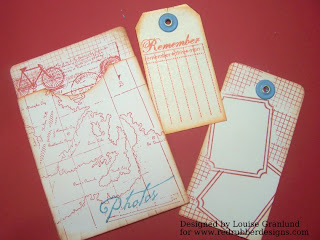 You have some good stamp suggestions for tags in scrapbooking. I like your idea to have them made ahead of time and then just select one as you work. 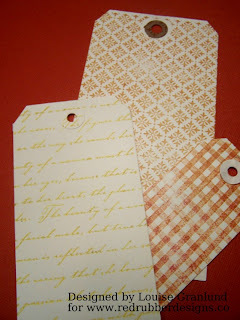 I am forever using tags and love to see them used on other crafters' art.